Swedish game developer and publisher Starbreeze has been very active lately. In late January, they raised $44 million to speed up the production of PAYDAY 3 and cover marketing costs for Overkill’s The Walking Dead; in early February they announced a publishing agreement for 10 Crowns by Mohawks Games; in March they sold the publishing rights to Dead by Daylight back to developer Behaviour Interactive for about $16 million. This last operation has been commented on by CEO Bo Andersson in Starbreeze’s Q1 2018 financial report (published today on the company’s official website). We agreed in March 2018 to sell the publishing rights to Dead by Daylight. This might seem contradictory when the expressed strategy is to widen the game portfolio with additional publishing titles. But when the opportunity arose, we made a business decision to sell because we expect profits from the game, through this transaction, to exceed our earlier forecast of the game’s remaining lifetime. Dead by Daylight has been a huge hit and the deal makes it possible to for us to invest in other publishing projects. However, the presentation that goes along this financial report also contains an interesting outlook on what’s next for the company. Starbreeze has lofty goals to increase revenue from 2017’s 361 million SEK (Swedish Krona), or $41 million, to 2 billion SEK or $228.6 million by 2020. 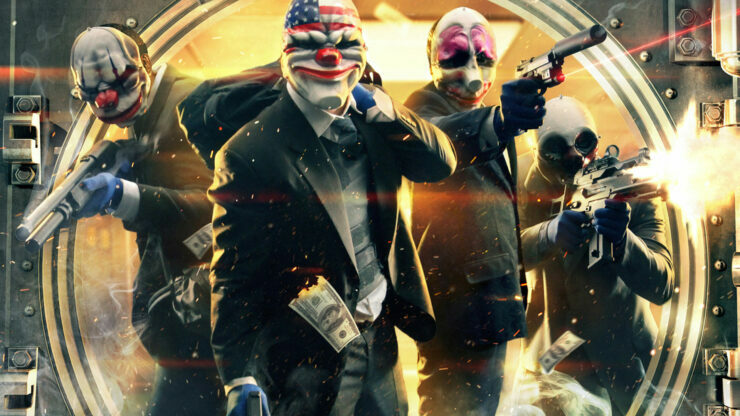 At the same time, they’ve revealed the titles that are expected to generate revenue in 2020 and among those, there is no mention of PAYDAY 3. 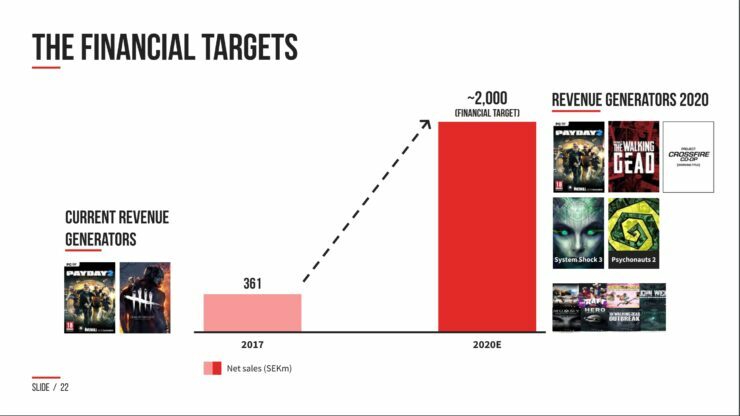 As you can see below, the slide cites PAYDAY 2 (which will be updated with new content up until 2019), Overkill’s The Walking Dead, the untitled Crossfire co-op game as well as System Shock 3 and Psychonauts 2, both due to be published by Starbreeze. Now, this isn’t an official confirmation that PAYDAY 3 won’t be released by 2020, but it certainly looks that way – if the game was internally scheduled to be out by that time, then it would surely be included as a major revenue generator. For the record, the report also briefly mentions that gameplay for Overkill’s The Walking Dead will be showcased for the first time next month during E3 2018. We’ll have the chance to see and play the game ourselves at the event, so stay tuned for our impressions. The release is still planned for this Fall on PC, PlayStation 4 and Xbox One.